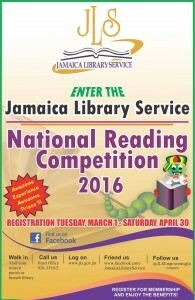 The Joyce Robinson Hall at the Jamaica Library Service (JLS) filled up steadily last Monday morning, as the 29th National Reading Competition got off the starting blocks. There were sponsors, students, educators, librarians, publishers, booksellers and representatives of the Kingston Book Festival – all ready to give the competition a good start. So then, let us not concentrate all our energies on “filling up” the mind with information, stuffing it all in. Let knowledge, gained through reading, light a spark of excitement, curiosity and creativity in the young mind. That’s what reading is all about. Imagination, too, is a much under-valued commodity. The Chair of the Book Industry Association of Jamaica (BIAJ) Latoya West-Blackwood brought greetings at the competition launch. 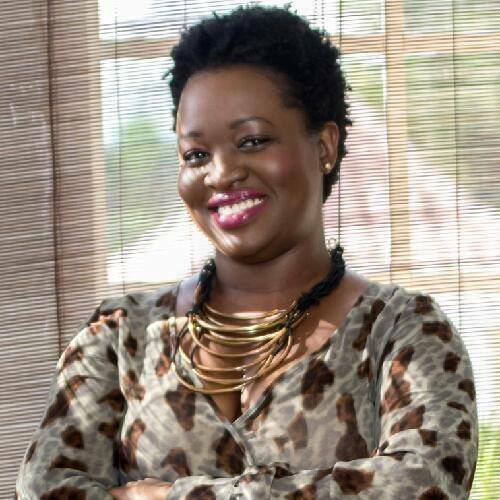 Chair of the Book Industry Association of Jamaica Latoya West-Blackwood came straight to the point in her remarks. 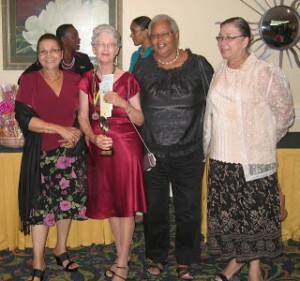 “You should not be struggling to get sponsorship,” she told JLS officials. While stalwart sponsors like the Gleaner have supported the Competition since “Day One,” other large companies still seem more interested in putting up huge amounts of money for expensive parties, talent contests and the like. Why not sponsor some students to participate in the Competition, offer a special prize or an advertising package? The private sector needs to start contributing in a substantial and focused way to Jamaica’s development (those are my thoughts, not necessarily Ms. West-Blackwood’s, by the way). Ms. West-Blackwood believes reading should be a tool for national development and cultural preservation. It has so much value – educationally, culturally and socially. The BIAJ Chair is planning to sit down with the JLS soon to discuss a strategic partnership in this regard. Two new competition sponsors have come on board this year, however – Fontana Pharmacy and Sandals Foundation. This is of course very welcome. Project Manager at Sandals Foundation Sydney Henry told us of theFoundation’s two-year-old Project Sprout, a reading program now in six early childhood institutions in Westmoreland, St. James and St. Ann. The Foundation – itself only seven years old – recognized the need for children to be truly ready for primary level education, in terms of their reading and writing abilities. Currently, only about half of them are – and these children fall further and further behind in their learning as they progress through the education system. This is quite an alarming scenario; again, I believe that the private sector – if it is looking at a well-educated, trained workforce in the next decade or two – needs to put its funding behind these kinds of projects. Interestingly, Project Sprout also has an agricultural component, with greenhouse technology in place at the West End ECI Institution, for example. Nutrition is key for young children as they grow up and learn. On the topic of literacy, I had an interesting conversation with Jean Forbes and Gwyneth Harold Davidson – both writers and competition judges. Ms. Forbes elaborated, in painful detail, on the negative impact that low functional literacy (functional meaning being able to read and write more than simply your name) is having on society. People are unable to communicate properly. “You can’t say what you want to say,” observed Forbes. “You cannot use the words!” The result is misunderstandings, confusion and conflict – often leading to physical violence. People simply don’t know how to resolve their problems. They become frustrated. In rural areas, Forbes noted, the problem is particularly acute. So illiteracy contributes in a very real way to the issues tearing at the very fabric of our communities. Yes, indeed. More minds need kindling. 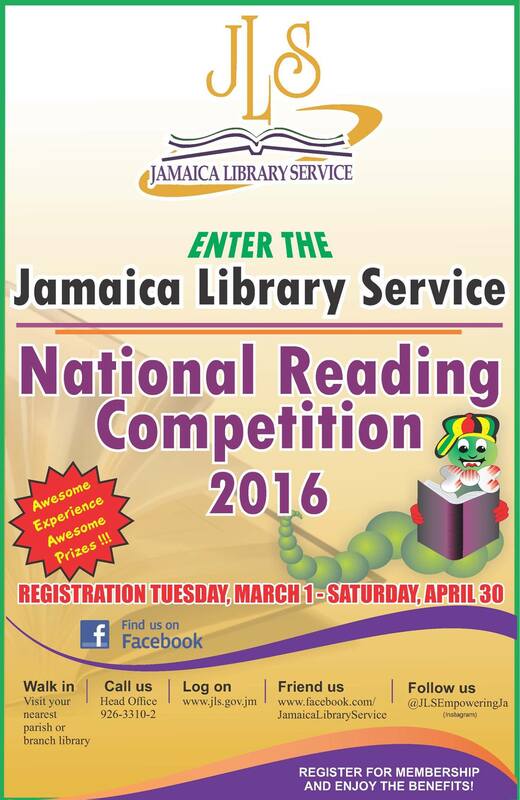 Registration for the National Reading Competition continues until April 30, 2016. For more information, go to your nearest parish or branch library or call: 926-3310-2. The JLS is on Facebook and on Twitter and Instagram @JLSEmpoweringJa.